Photosynthetic cyanobacteria functions similar to a green plant – they use light energy to carry out photosynthesis and they release oxygen as a biproduct from this process. Researchers at Standford University have now been able to show that the oxygen released by cyanobacteria may lighten the damage after a heart attack. During the trial, researchers injcted bacteria of the species Synechococcus elongatus into the heart of rats, where the cyanobacteria restored oxygen to heart tissue after blood supply was cut off as in heart attack. A heart attack is when clogged arteries or blood clots cuts the blood flow to the heart. It is a potentially deadly situation, and even when a person surivives a heart attack, the injuries on the heart can be very serious since the lack of oxygen causes heart cells to die. “Coronary artery disease is one of the most common causes of death and disability, afflicting more than 15 million Americans. Although pharmacological advances and revascularization techniques have decreased mortality, many survivors will eventually succumb to heart failure secondary to the residual microvascular perfusion deficit that remains after revascularization,” cardiovascular surgeon Joseph Woo and his team writes in their article, which was published in Science Advances on 14 June, 2017. What Woo and his colleagues managed to do was to bring oxygen to the oxygen-starved heart tissue of rats in the laboratory with the help of light and photosynthesizing bacteria. The first step of the study involved checking of cyanobacteria could provide oxygen to heart cells in a lab dish. When this yielded a positive result, Woo and his team went on to test if the cyanobacteria could provide oxygen to heart cells that was still found within a heart. The researchers stopped blood flow to parts of a rat’s heart to simulate a heart attack. They also meassured the oxygen content in the heart tissue. After 15 minutes, they injected either cyanobacteria or saline solution. Afterwards, they once again meassured the oxygen content in the heart tissue. 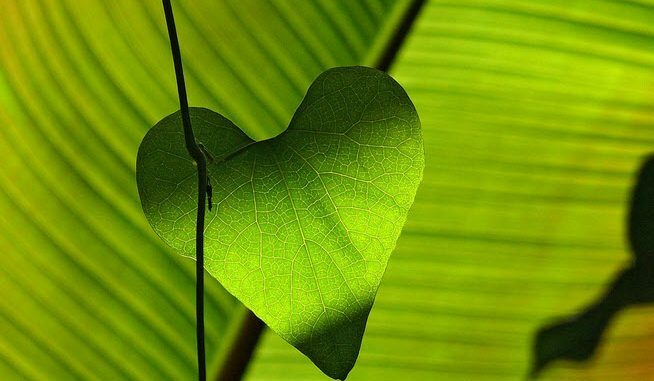 The heart tissue of hearts injected with saline solution showed nearly no increase in oxygen, while the heart tissue of hearts injected with photosynthesizing bacteria showed dramatically increased levels of oxygen. The bacteria had increased oxygen in the heart tissue to about three times the levels measured right after the heart attack! Of course, photosynthesizing bacteria thrive on light, so the researchers did a new series of tests where they exposed the hearts to light. Now, the photosynthesizing bacteria was working much harder and produced much more oxygen. The hearts injected with bacteria turned out to have 25 times higher oxygen levels when the bacteria had done their job compared to the levels measured right after the heart attack. Injecting bacteria into a heart might sound risky, but the cyanobacteria was cleared from the rats’ bodies within 24 hours and didn’t provoke the immune system to attack the heart. Naturally, it is important not to use any of the cyanobacteria that releases toxins. Four weeks after the heart attacks, the rats that had received the bacteria treatment had less heart damage than the rats who got only saline solution. Also, giving the bacteria light to “feed on” turned out to be important. Hearts treated with bacteria and light had a 30% better blood flow out of them compared to hearts treated with bacteria only. Woo and his colleagues are now working together with engineers at Stanford to develop a device that can shine light into the heart. All our tissues need oxygen, and it might be possible to use cyanobacteria for much more than just treating heart attacks. J.E. Cohen et al. An innovative biologic system for photon-powered myocardium in the ischemic heart. Science Advances. Vol. 3, June 14, 2017, p. e1603078. doi: 10.1126/sciadv.1603078.